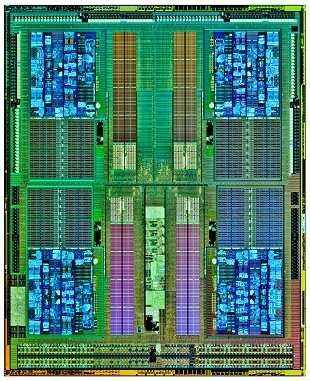 The FX-8350 is a 315mm2 die manufactured on a 32 nm node and composed 1.2 billion transistors, which for those of you keeping track at home is the same as the previous “Bulldozer” generation. It continues to support the AM3+ based AMD 9-Series motherboards, so for some of you this will be a simple “drop-in” upgrade option. 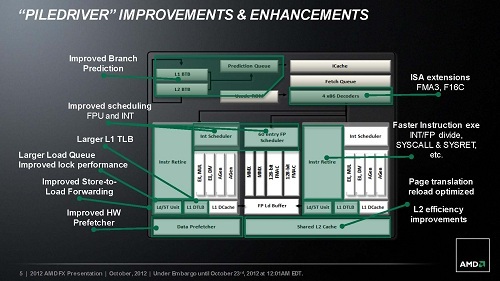 With the new “Piledriver” cores, AMD was pretty forthcoming with the improvement and enhancements over “Bulldozer”. At the risk of making a “Captain Obvious” statement, all of these are aimed at the 15-20% improvement goal over the previous generation. 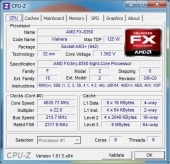 AMD FX closed loop water cooler (similar to the Antec Kuhler 920). In our tests, we will pit the FX-8350 against AMD’s previous “Bulldozer” based FX-8150 to see just how much of a performance gain the new cores really bring to the table. We will run a variety of synthetic tests, gaming, and we will also take a crack on finding a stable 24/7 overclock. 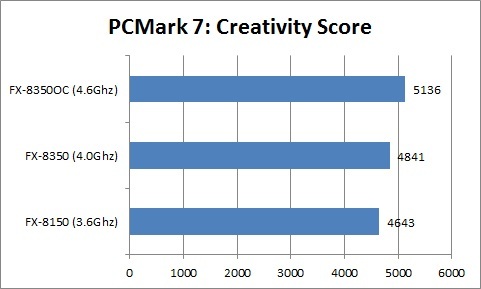 Obviously with the overclock, some features will be disabled (i.e. Turbo core). 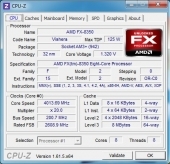 All tests run will include for the FX-8150, FX-8350 (base), and FX-8350 overclocked. 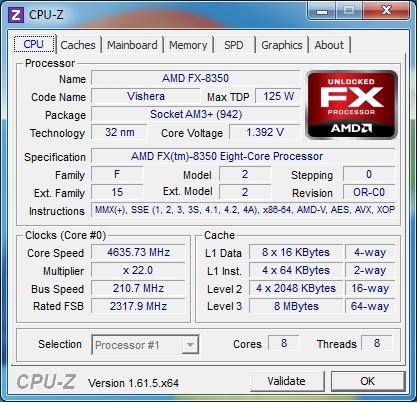 Before we get into the tests, let’s take a moment to discuss how well the FX-8350 overclocks. Not everyone is going to feel comfortable overclocking a CPU, mainly because the process can be more of an art then a science. However, I can say that some processors are easier to overclock then others, and right off the bat I can say that the FX-8350 is probably one of the easiest CPUs I have overclocked in sometime. 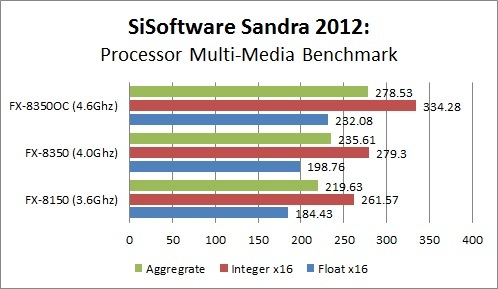 This chip really seems comfortable running at higher clock speeds. So my plan was to find a stable 24/7 overclock that would require the least amount of additional voltage to the CPU and NB and stay around 50c under loads. There are many people that are comfortable overclocking their CPU’s with higher load temps, but at some point heat becomes your biggest enemy. With a simple bump in ratio, and stock voltage I was able to get a stable 4.4Ghz (200×22) overclock, but ultimately was able to nudge the bus speed to 210 with a slight boost in CPU voltage (1.4) for a stable 4.6Ghz overclock that ran with almost no heat increase…which is almost perfect. Now I did want to see how much I could push this CPU and where I was able to get stable overclocks of 4.8Ghz and 5.0Ghz, it the required voltage jumps nearing the high end (1.45/1.5 on the CPU). This ultimately lead to some really high load temps, that I was uncomfortable accepting as a 24/7 overclock. There just seemed to be a pocket at 4.8Ghz that required to much additional effort (voltage and cooling) to justify, which is why I kept coming back to the 4.6Ghz overclock as my particular “sweet spot” given my particular cooling setup(and this is running the fan on extreme…or leaf blower mode). 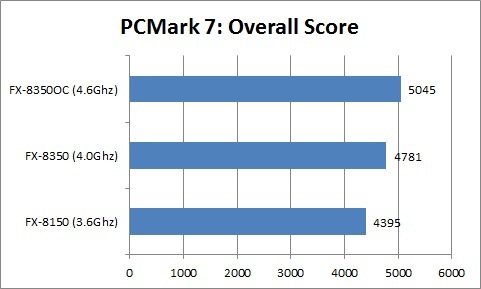 With the question of overclocking out of the way, it was time to run some benchmarks and see how things shook out. 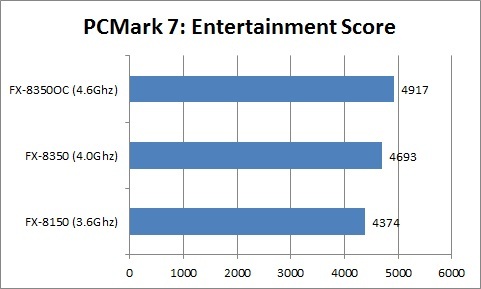 With the overall score, the FX-8350 shows about an 8% increase over the FX-8150. I was sort of hoping for more here, but as you can see with the relatively simple low-risk overclock was about a 13% improvement. This was at least closer to my expectations, and it’s at least good to know that the additional performance is there if you’re willing (and capable). The remaining individual suites seemed to mirror the overall in both percentages and trend, so at minimum the performance gains were consistent in the various benchmarks. 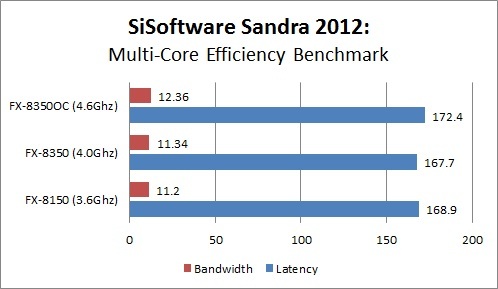 It appears there is very little difference in the Multi-core latency over the FX-8150. The efficiency across the board seemed unchanged over the previous generation…which was a bit of a surprise. 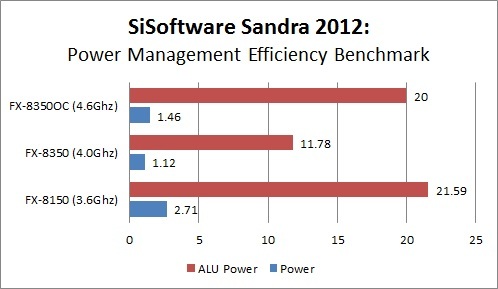 I am not sure what happened here with power management efficiency, but this is one suite that bucked the comparison trend between the FX-3850 and FX-8150. It was also interesting to see that the OC closed the gap a bit. 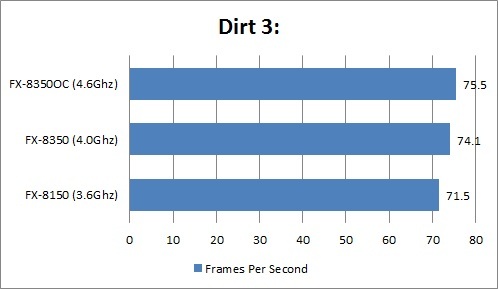 With x264, the higher the FPS, the better the performance and again we see the consistent performance trend seen in other benchmarks. 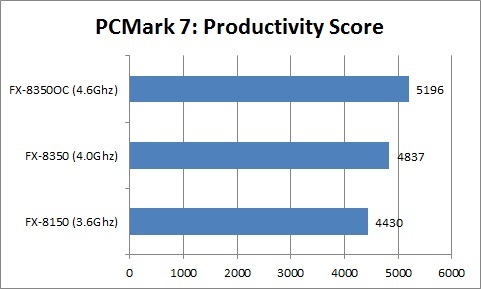 Consistency really is key in my opinion, because consistent performance gains are better than niche areas where certain CPUs perform better than others, for overall value and performance. 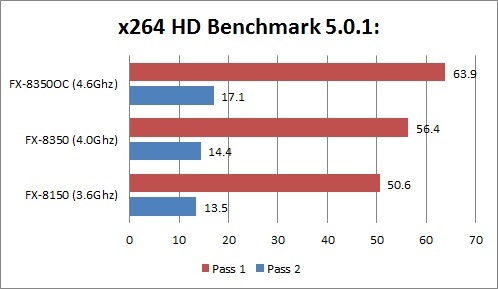 With synthetic benchmarks out of the way, it was time to see what the FX-8350 brought to the table over the FX-8150 for gaming. All of these games were set to 1920×1080, given the portion of the market this CPU is geared too, this should be the more predominant resolution used. 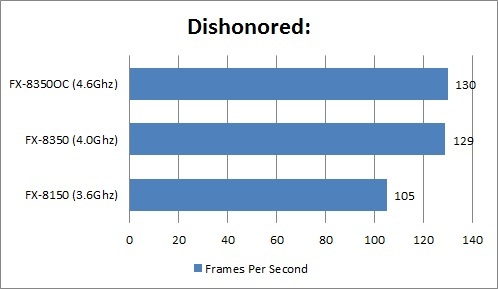 Additionally, the highest settings were always chosen for each title. Here we see about a 5% gain over the FX-8150, not great to be honest. I almost believe there is a bottleneck somewhere else in the system that may be playing a role here. 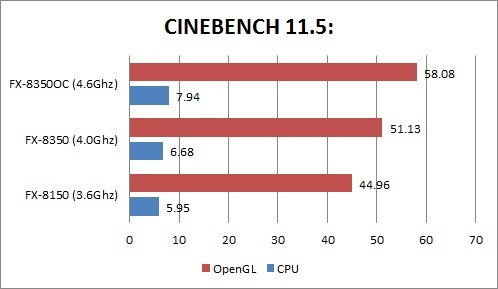 It was interesting to see virtually no difference between the stock clocked FX CPUs here. 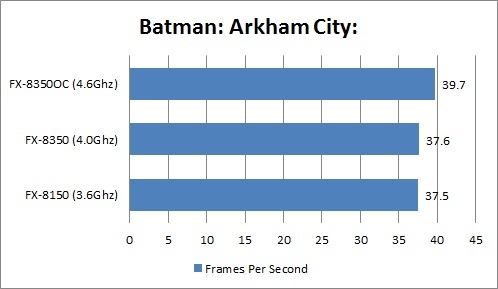 It wasn’t until the OC that we saw a noticeable bump to the FPS. 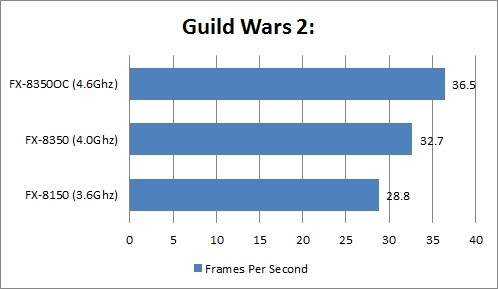 Here we see a nice trending bump to FPS with each configuration. Nice tangible gains are achieved that take us from sub-optimal to “very” acceptable FPS. 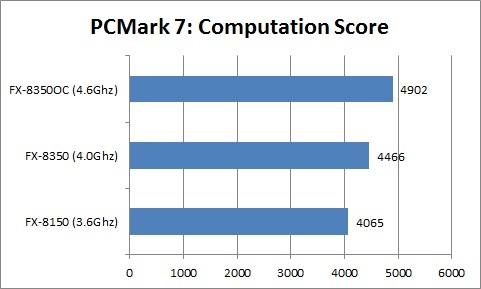 The FX-8350 is closer to what the FX-8150 should have been. There, I said it, and I think that pretty much sums up the comparison…so if you stop reading right now, you at least have the right take away. 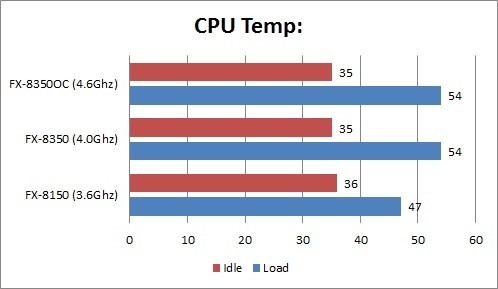 The CPU performs better in almost all facets, runs more efficiently (processing versus temps versus power usage), and overclocks extremely well (even on air). Investing into a new cooling solution, could yield a really nice return on your investment. 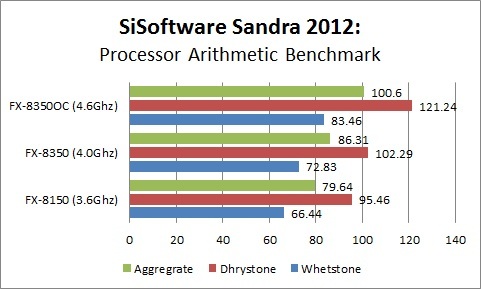 Additionally, where AMD is getting it right again, is with pricing. The FX-8350 specifically will be priced lower than many of “locked” i5 Intel variants, which increases the incentive to pick one up. Does all of this add up to a must buy? I think the answer will ultimately lie in what you want out of a CPU and the particulars (cost, configuration, usage, and preference). However, I will say that AMD has positioned themselves much better this go around and there are more reasons to buy an FX-8350 then there was an FX-8150. I applaud AMD for the hard work they have put into giving the FX-series some of the love it was missing. However, the FX-Series is still not the FX series of old, and users will still have to weigh the decision of going with the new FX-Series versus an Intel solution, as the new FX-series doesn’t make it a no-brainer.